This entry was posted in Home, Super Frug Basics, Super Frug Heroes by Peg. Bookmark the permalink. Thanks so much for writing, Jo Ann! Tammy Strobel is pretty amazing. I couldn’t agree more. 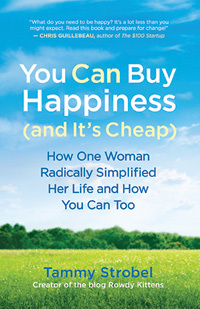 I was very inspired by how she refocused her life, career, and possessions on what she really values and makes her happy. I think you’re going to really enjoy her book. I’m so glad you found my blog and I hope you will visit often.